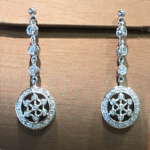 Black Friday has come and gone but you can still get great deals on Custom Jewelry with us during the Holidays and all year long. Come shop with us today! For the December birth child, Blue Zircons come in different shapes and in beautiful shades of blue in color. 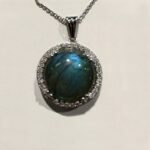 Jewelry World has many different options for any person whose birthday is in December.- and if it’s for another special occasion – Jewelry World create a beautiful Custom piece that’s yours and only yours! And, we have a vast assortment of custom one of a kind items that can fill any need for Hanukkah, Kwanzaa, Christmas or any holiday you may celebrate. 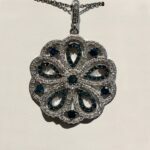 Owner Jack Bairian began his career in the jewelry industry in high school, where his passion for detail and design blossomed during his time in pottery and jewelry design classes. 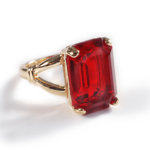 He worked behind the scenes at major jewelry retailers for 25 years, producing brilliant custom pieces for thousands of customers across Southern California. Now Santa Clarita residents have Jack all to themselves. Bring your ideas to Jack and he’ll make that dream piece into reality. – Jewelry World can help put it all together! We have a wide assortment of gift items that can fill any need as Christmas draws closer.